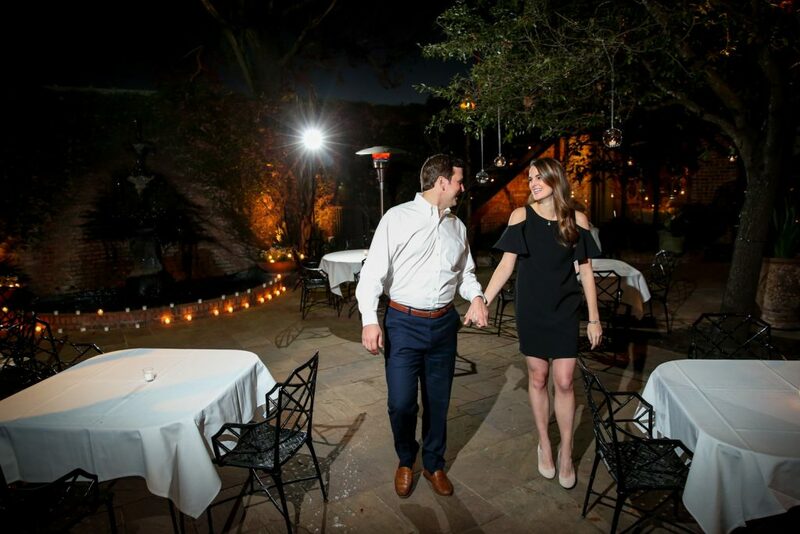 If you want to surprise your loved one with a romantic dinner for your proposal, Brennan’s restaurant in Houston allows you to rent its beautiful courtyard. 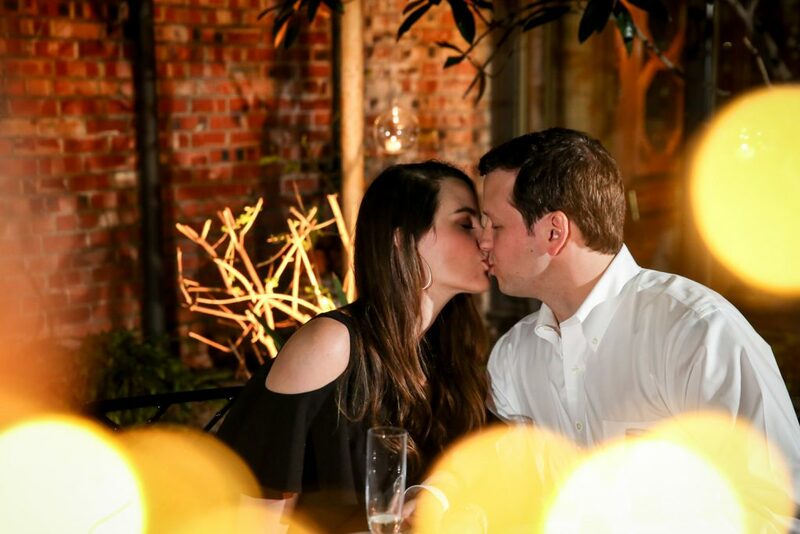 It’s one of our favorite Houston engagement ideas! Brian agreed and reached out to us to capture his surprise proposal to Leslie at Brennan’s, creating the guise that they were going to have a typical dinner. 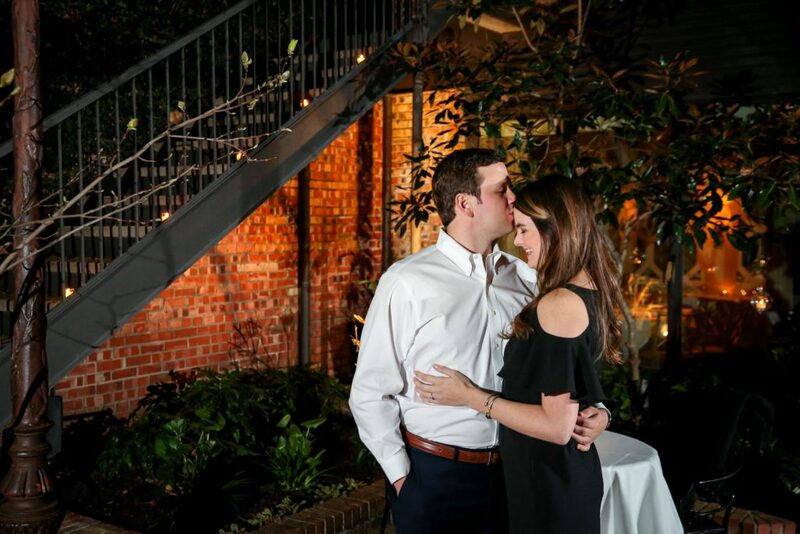 Want to make your proposal in Houston picture-perfect? Work with the experts! Give us a call now at 1 (888) 287-5120 for a free consultation. It'll be once-in-a-lifetime, captured forever. 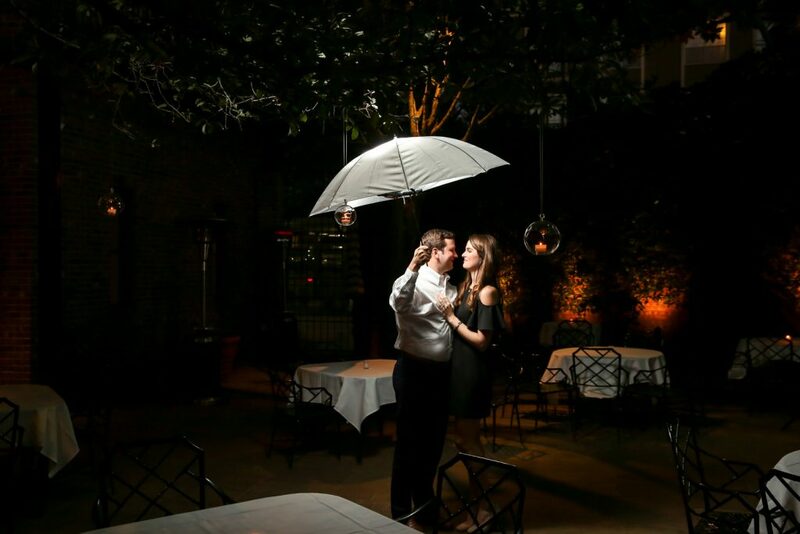 When Leslie arrived to the restaurant, Brian led her to the courtyard, where she quickly realized this dinner was anything but typical. The private courtyard was the first of many surprises! 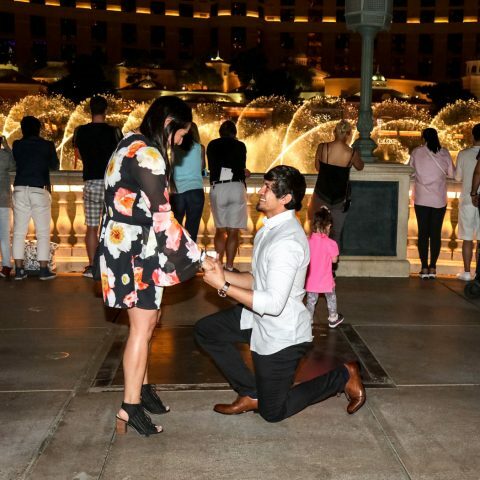 He led her to a romantically setup table, and when she turned back around, he dropped down to one knee, asking her to marry him. Of course, she screamed “YES!” To add to the surprise, Brian arranged for our sneaky photographer to be discreetly hidden, capturing every moment. 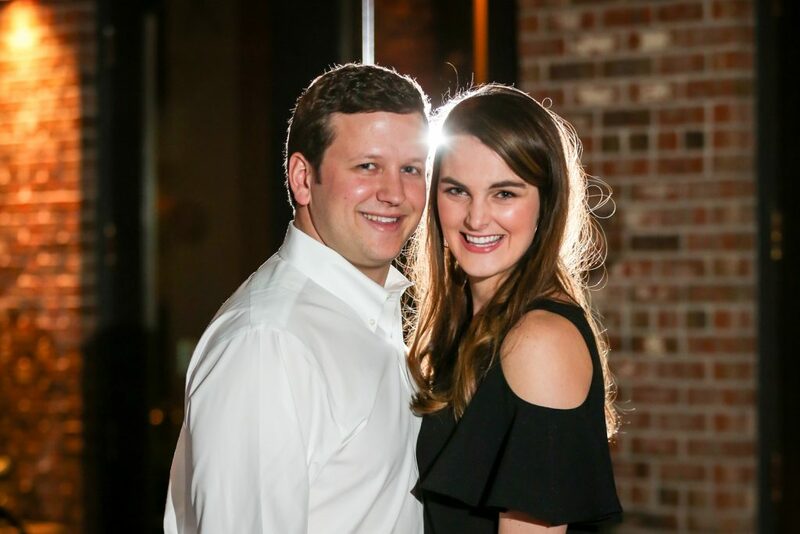 After all the excitement, our photographer revealed himself and captured a stunning portrait session of the newly-engaged couple. Don’t they look fantastic! 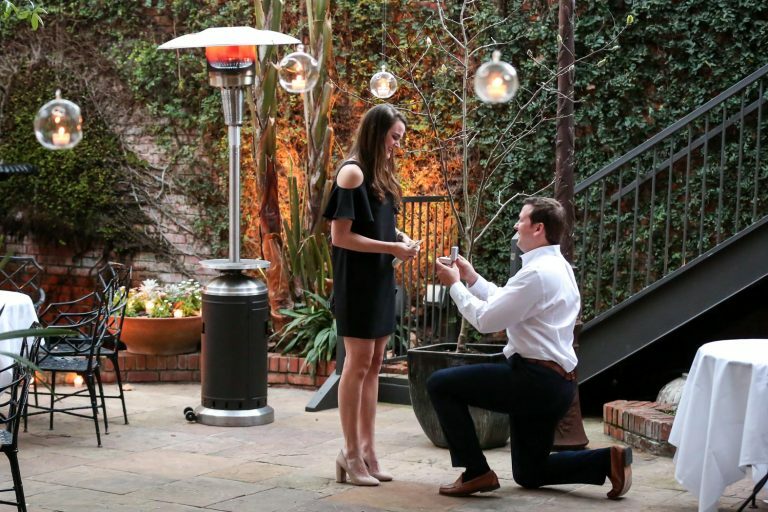 Need more proposal inspiration? 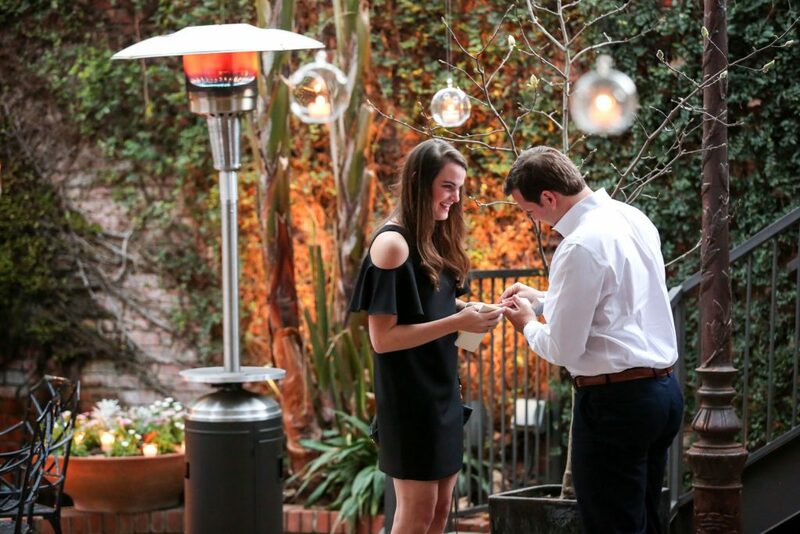 Check out some of our other favorite Houston proposal ideas, here! Not looking to get engaged but just a lover of romance? Join the club! Follow us on Facebook and Instagram to indulge in daily proposals and priceless reactions.